Many videogame-related clothes are what you could call tacky at best, but these Metal Gear Solid: Peace Walker T-Shirts are actually kind of cool-looking. I have to admit, when I think about official game-related apparel, the first sort of thing that comes to mind is clothing like the horribly ugly Halo T-Shirts from Marc Ecko. 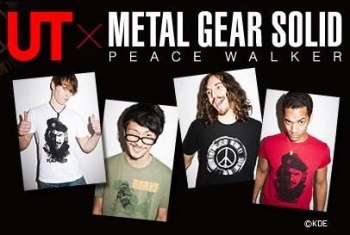 But these MGS: Peace Walker T-Shirts created by Japanese clothier Uniqlo are actually ... kind of cool. 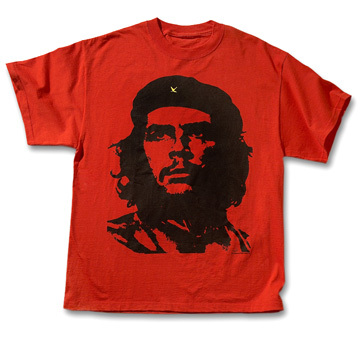 Personally, I think that my favorite is this one, if only because it's such a (almost certainly deliberate) hilarious send-up of the iconic Che Guevara T-Shirt that is a favorite of college students everywhere. The shirts aren't too pricey at all (just under $20/Â£13), and can be either ordered from the online site or from the Uniqlo flagship store in Manhattan's Soho district. One is probably much easier than the other.